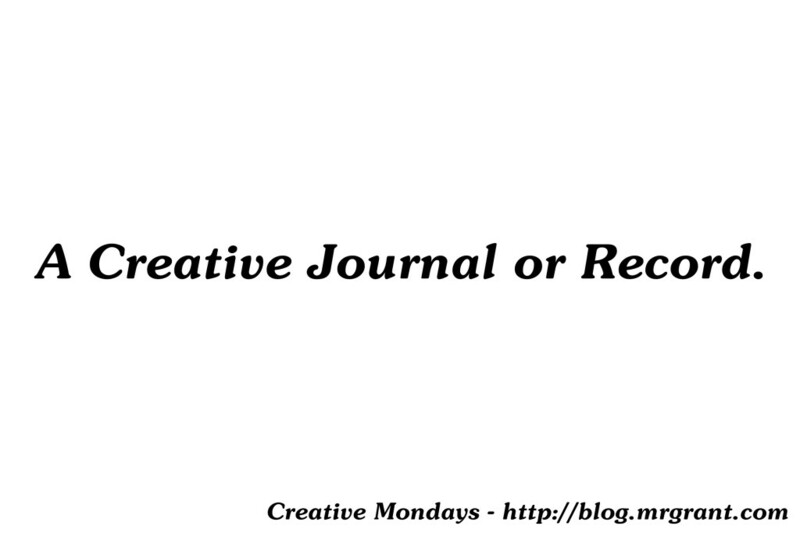 Creative Mondays #004 – A Creative Journal or Record. In 2010, I learned about Jim Henson’s Red Book. The Red Book was a journal that Jim Henson started in 1965 where he wrote down all the significant events that had happened in his life up to that point and then he continued to keep updating the journal from then on. He wrote entries all the way through 1988. There’s a fun website set up at www.JimsRedBook.com where you can see what Jim wrote down for that day in his journal. Jim wrote entries for major events in his life, both creative and personal and it’s an amazing record of some of the amazing things Jim accomplished in his life. A bulk of the entries were accumulated into a book called Imagination Illustrated which is well worth a read. Or two. After discovering this fact about Jim Henson, I really liked the idea of starting a creative journal. I’m not talking about a journal where I wrote down ideas, though I have one of those as well. I’m talking about a journal where I write down, daily, what creative things I have worked on during the day. I guess the real term would be a Creative Record but I’m just comfortable using the word record. So I bought a hardbound Moleskin, lined notebook and began keeping the journal. At the end of each day, before bed, I write down the creative things I did that day. I just write a simple line for each thing with the date. Here’s an example of an entry. – Continued work on Astral Factor for Cinematic Titanic. – PuppetUp Rehearsal at Henson. That’s it. Just a line for each item and I do this every day. I started October 6, 2010 and have made entries for just about every day since then because of my goal of doing at least ONE creative thing everyday. With two minor exceptions, one being breaking my arm, the other recording the day I met someone who influenced me greatly, I only put creative things in this journal. It’s a fantastic record I can look back through to see what I was working on then and what I’m working on now. It’s also a super great motivator to keep creating. I look forward to writing down the creative things I did each day and I always make sure there is at least one thing I can write down before going to bed. And I do it EVERY day. If I’m on the road or on vacation, I keep a list in my phone and the moment I’m back I write down all the creative things I did while away. I finished my first creative journal on November 7, 2013 and I started a new one. I’m really proud of that first one as it is a three year, one month and one day record of everything I creatively worked on. It is SUPER fun to go back through and look at what I was doing on a particular day. It was so much fun to start a new one, what a great feeling of accomplishment. And even though I’m only a little ways into my second one, I’m already looking forward to the third! So try out a creative journal. It doesn’t have to be a physical journal either. It could be a word processor file or a Google Doc you could update from anywhere. But give it a shot and see if it helps motivate you into being creative each day. Now, if you’ll excuse me, I’m off to enter writing this blog post into my creative journal! Have you been doing something similar to this already? If so, let us know what it is and what your process is in the comments below.